Mumbai, Nov 14 (IANS) Virtual reality will play an important role in the future of entertainment and storytelling, says Eddie Avil, one of the directors of the stereoscopic cinematic virtual reality (VR) horror short film "Crackle" that has travelled to several international film festivals. The film has been directed by Avil and Ashley Rodrigues. Why did they choose to make the short film in VR? 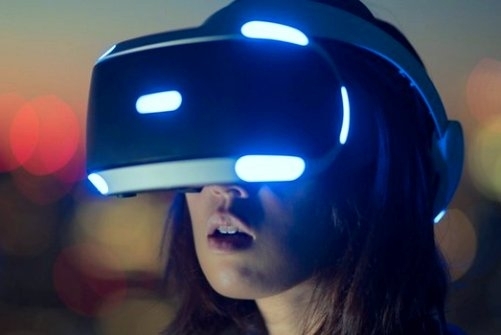 Avil told IANS here: "Virtual Reality is the next evolutionary step for entertainment. It takes you from being a passive viewer of rectangular 2D content to jump right in the middle of the content with full 360-degree panoramic glory. "We strongly felt the dynamic and immersive nature of virtual reality would do justice to the horror genre and that's how â€˜Crackle' was incepted." The story of the film spins around a group of friends who go to a homestay at a village to spend some time together. One of the friends after reading a book on how to call spirits, prods his friends to hold a seance together. Unknowingly, they hold a seance at the same place where two teenagers were burnt alive by villagers for sacrificing a baby and practising witchcraft. The film features a bunch of new and young actors like Amaan Sait, Archita Agarwal, Rohan Joshi and Shivam Arora. Since new technology has been used to make the film, sharing their share of challenges to shoot the film, Avil said: "This being India's first stereoscopic VR film, we had our fair share of challenges -- technical, financial and also in making people understand the format... Right from the actors to the crew. "Initially, the idea was to test the camera, which grew into a conversation of shooting a cinematic VR experience and that's when we collectively decided to shoot a VR horror film." The duo, after approaching a few directors and directors of photography who were "utterly clueless" about VR, decided to direct and produce it themselves. The film has travelled to the Krem Fest Virtual Reality at Seattle, Lusca International-Fantastic Film Fest at Puerto Rico and El Paso IMPACTFest Film Festival at Texas. "Crackle" even won the Best Virtual Reality Short Film award at the Miami Fear Fest. "The response has been good and that has been heartwarming. The acknowledgement has strengthened our belief and validated the hard work that went behind it. We are presently writing/building a VR web series, fiction and non-fiction immersive content," Avil said. As Indian theatres are not equipped to release a VR film, how do they look forward to reaching out to the maximum audience with the film? "We made â€˜Crackle' knowing that the infrastructure is still not there for VR here in India.... You need a VR headset to experience the film and not necessarily a theatre , HMDs (head-mounted display) are easily available online and I have also seen VR headsets sold at train stations for under 500 rupees. "So anybody with a VR headset will be able to view our film once we digitally release it," said Avil.